This is so adorable, Sherrie!! The papers you used are perfect!! I love the anchor...the paper makes me think of waves!! The twine was a fabulous touch!! What a fun treat holder this is!! I love the shape of the box, too!! Thank you so much for playing along at DL.ART!! 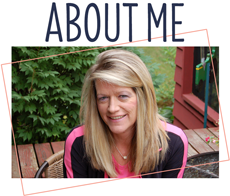 Great project Sherrie. I really love the papers you used. This is an adorable TREAT Holder! Love the anchor and the paper.. Fab Sherrie! Have a great weekend! so cute! You have been a busy girl! I can't make anything right now my craft room is in boxes since we are moving:( I would miss it but I'm to busy and tired! Adorable treat holder! Those papers are so gorgeous and I love that anchor! This is so fun! Have a fabulous weekend! Love love love love this! LOVING that anchor!!!!!!!!!!!!!!! This is super cute. I have always loved anything nautical, and this is just perfect! I hope you have a wonderful, crafty weekend - enjoy! I am such a nautical person and I love this, gr8t job! Super cute treat holder Sherrie! Love the nautical theme! So fun and summery! 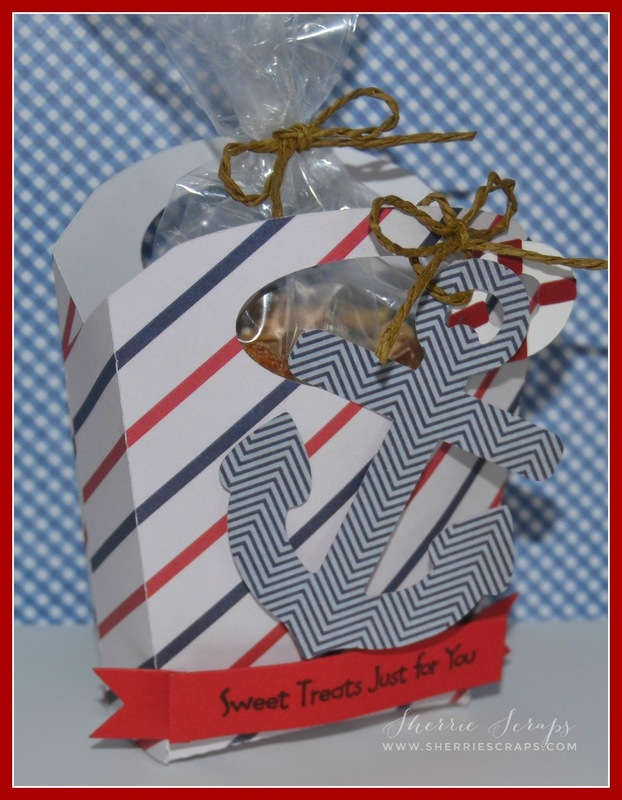 TOTALLY cute treat holder!Love the nautical theme too! Cute and fun treat box. Love the papers. What a perfect box for any beach or pool party. Sherrie this is so cute!!!! I love anything nautical ... so this caught my eye right away. Your papers are fantastic and perfect for this! 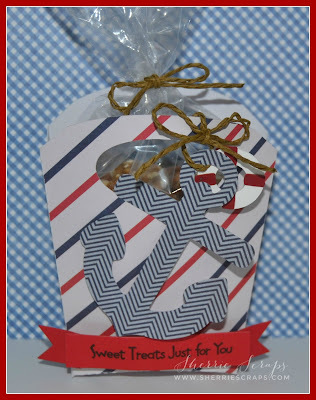 Love that huge anchor and the sweet little treat bag! Thanks so much for linking up this week in our Anything goes Funday Friday challenge! This is super cute! 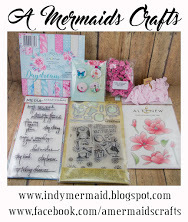 I do think it would be a perfect little gift bag for a cruise, or a favor bag for a beach/pirate/ocean themed party. 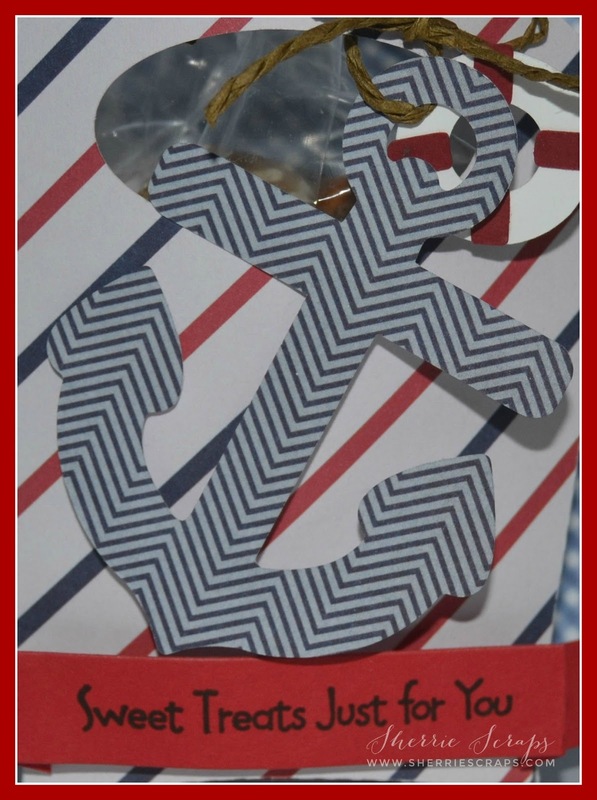 Love the nautical papers; perfect for the anchor. 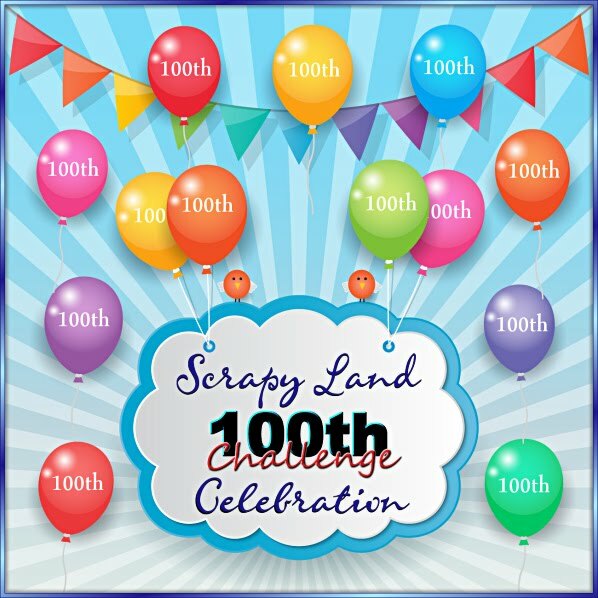 Thanks for playing with Jo's Scrap Shack's Funday Friday challenge. This is so cute! Love the big anchor! Hope you're enjoying your weekend, including time in your craft space!! Can't wait to see what you make! What a super cute treat holder!! Love the pretty papers you used!! Have a great day. 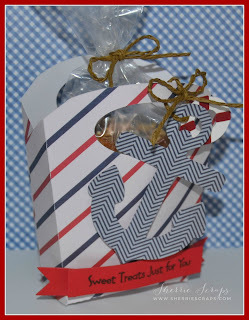 Awesome Nautical treat bag!! It's always awesome to use up does scraps:) Thank you for playing along with us over at Pretty Cute Stamps. Very fun! I love the whole nautical theme and the perfect papers! Very cute! 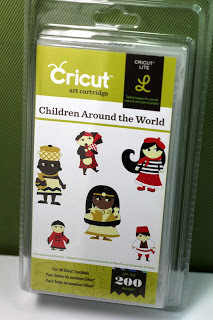 Thanks for joining us for this months Pretty Cute Stamps Challenge! Super cute nautical themed treat bag! Thanks for playing along with us at the Decorate to celebrate blog! THis is super Sherrie, I love the shape and the anchor. Happy Birthday my friend, I hope you had the best day ever. Super Cool Treat Bag !! Thank you so much for joining us over at Decorate To Celebrate Challenge ! !